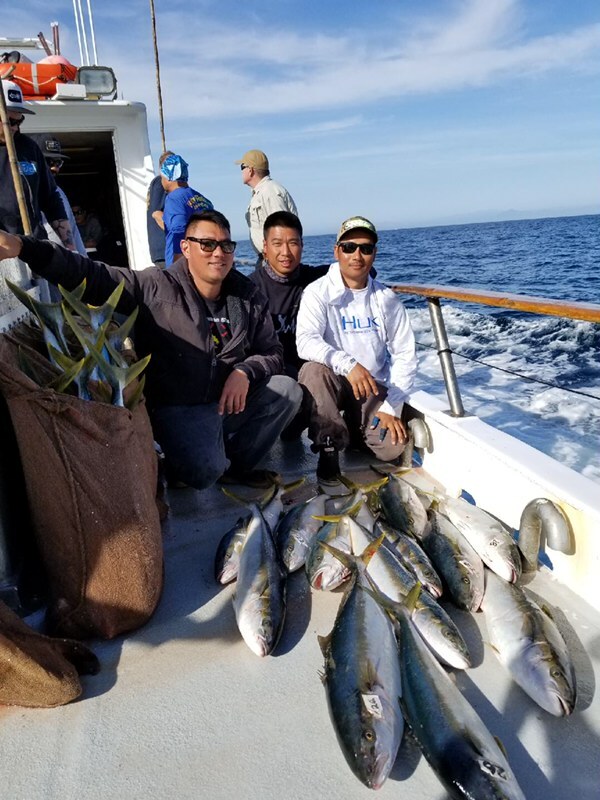 The ½ day boat Daily Double with 11 anglers returned from their last 1/2 day trip with 1 Halibut, 5 Whitefish, 2 Sand Bass, 4 Rockfish and 3 Sculpin. The Double departs every day at 8:30am for fishing at the local kelp beds and other hot spots. Call our office at (619) 223-1627 to book your trip. The 1/2 day boat Daily Double departs at 8:30 am for fishing at the local kelp beds and other hot spots. Ticket price is $52 for adults, $42 for seniors or active duty military and $37 for juniors. Return time is around 2:30 pm. A California fishing license will be additional. No passport required for this trip.